Of course it’s difficult. But it is important, so I will keep doing it, until it becomes easy. I don’t ascribe to describing something as difficult or easy, since that depends on each person’s own perspective. If I have years of experience or familiarity with an area, it might be easier for me than someone who is completely unfamiliar. But, my main thought here is that with persistence, determination, and consistent work…10,000 hours… It will become more familiar to you. 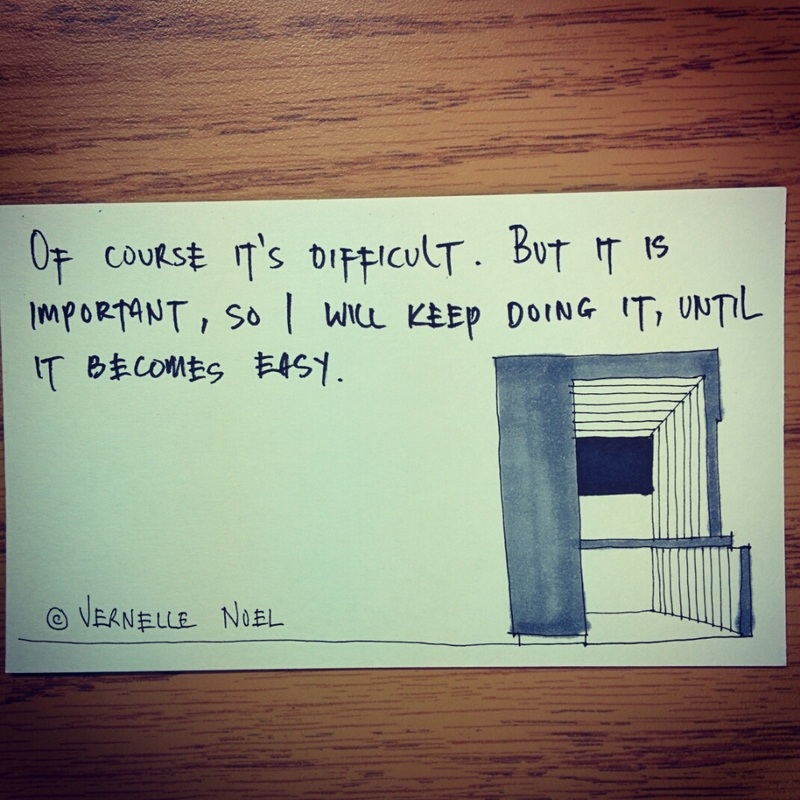 If it’s important to you, it will eventually become easy.